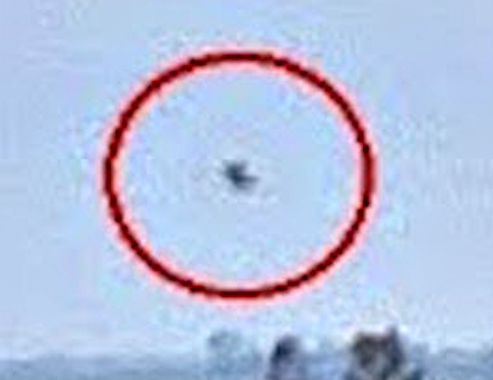 UFO SIGHTINGS DAILY: UFO Seen Over coastal foreshore of Calamuchita, Argentina On April 2015, UFO Sighting News. 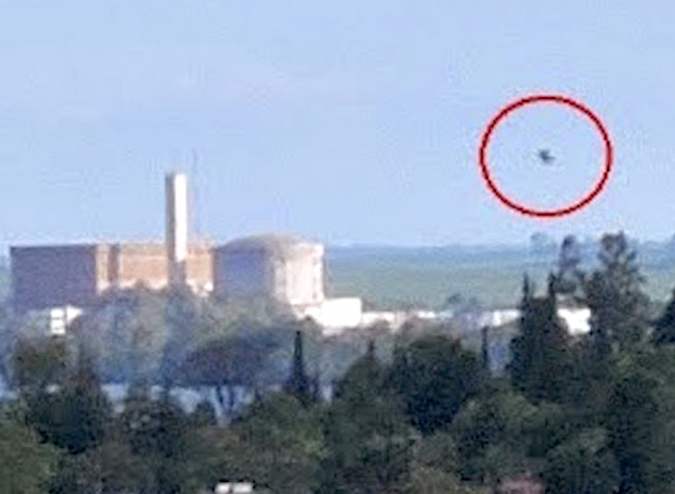 UFO Seen Over coastal foreshore of Calamuchita, Argentina On April 2015, UFO Sighting News. 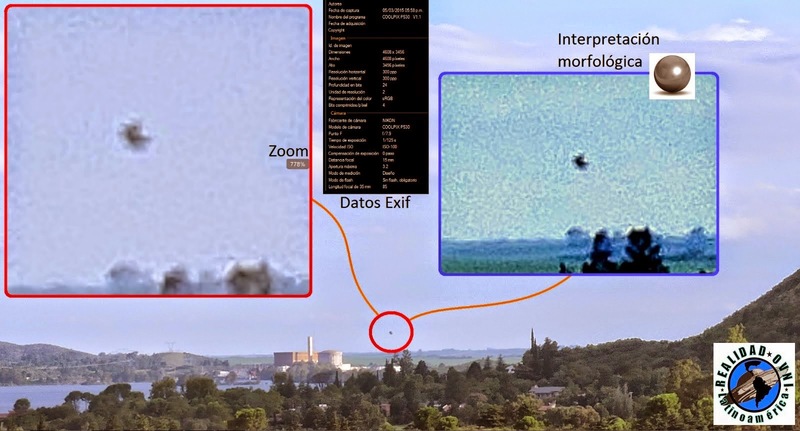 We are facing an authentic photographic evidence of a sighting occurred on Thursday March 5 this year, in a typical summer evening in the heart of the Cordoba Sierras. The author (Gustav von Düring) native of Santa Rosa de Calamuchita, was visiting the area as usual and snapping the splendid landscape. But it was more surprised when reviewing a series of pictures on your camera, was this something that really struck. "I never thought that it could happen. Today I am happy and touched to be part of this kind of experience. " Were his words. 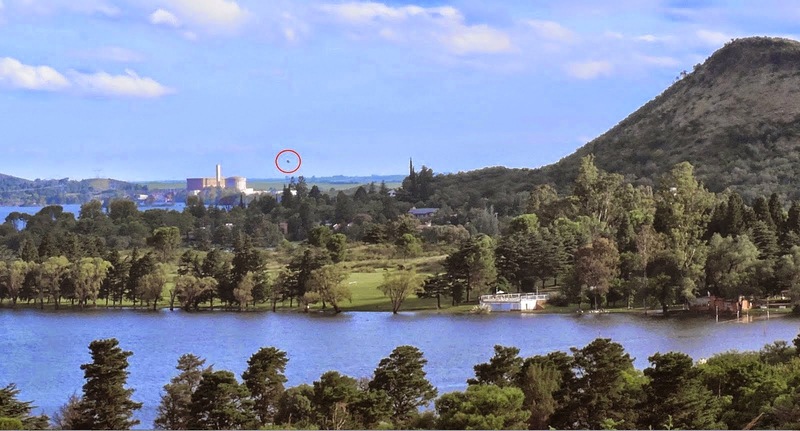 The relevant analysis show a grayish object with a reflective surface and spherical characteristics hovering low over the south shore of the reservoir. "The image of the object is above and to the right of the Central. The zoom reveals a somewhat rounded metallic appearance. It could be a helicopter, but do not see the body and tail of it, neither seems to come from the front. They also tend to be quite noisy. The image is pure, has no postprocessing. In the pre- and post-image, which is the same place and were taken one minute before and one minute later, nothing "is appreciated. Describe Gustavo.